We believe that the infant years are an important time when the foundations for learning are made and good attendance is therefore extremely important. Pupils need to attend school regularly if they are to take full advantage of the educational opportunities available to them by law. are more likely to achieve well at junior and secondary school. In law, parents/carers are committing an offence if they fail to ensure the regular and punctual attendance of their child at the school at which the child is registered, unless the absence has been authorised by the school. Only schools have the power to authorise or grant a leave of absence. Our school attendance target is 96%. Research shows that once attendance drops below this level progress may suffer and achievement will be lower. If your child has 10 days of absence during the year, his or her attendance for the school year will be only 94.7% and therefore at the level where there is likely to be an impact on learning. If your child had 10 days of absence every year over the 7 years spent at infant and junior school, it would be equivalent to him or her missing an entire term in school! Clearly there will be occasions when a child is unable to attend school e.g. due to illness. However, we ask that all other absences are kept to a minimum and avoided if at all possible. To support you in monitoring your child’s attendance throughout the year, we may contact you by letter if your child’s attendance falls below our attendance target. By highlighting issues early, we hope to be able to work together with parents and carers to ensure that your child receives the education they are entitled to and to prevent small problems escalating into issues that need the involvement of other agencies. In order to minimise disruption to your child’s learning general medical or dental appointments should be made outside the school day where possible. When an appointment has to be made during school hours, please inform the school office. Please ensure you bring your appointment card / letter to the school. Schools are only able to authorise absence from school in exceptional circumstances. In making a request for an authorised absence from school you will need to explain why the circumstances are exceptional. To request leave of absence, please complete and return a ‘Request for Pupil Leave of Absence from School in Exceptional Circumstances’ form. This form is available from the school office. Please note there is no general right to authorise absence for a family holiday. If you take your child out of school without permission the absence will be unauthorised and we will consider legal action. The assessment period is during the months of May and June 2019. Please be aware that we are unlikely to be able to authorise leave for Year 1 children during the week commencing 10th June 2019 as the children will be taking part in the statutory phonics assessment. The Department for Education also requires that any Year 2 child, who did not achieve the expected standard in the phonics assessment made at the end of Year 1 is re-assessed during the week commencing 10th June. We are also unable to authorise any leave for these children during this time. Parents/carers who take their child out of school without the absence being agreed and authorised by the school can be issued a penalty notice. Monday and Tuesday times are 8.50 - 3.05 and Wednesday 8.50 - 11.20. Wednesday morning 12.35 - 3.05 and 8.50 - 3.05 on Thursday and Friday. 30 minutes late = a whole month of learning! 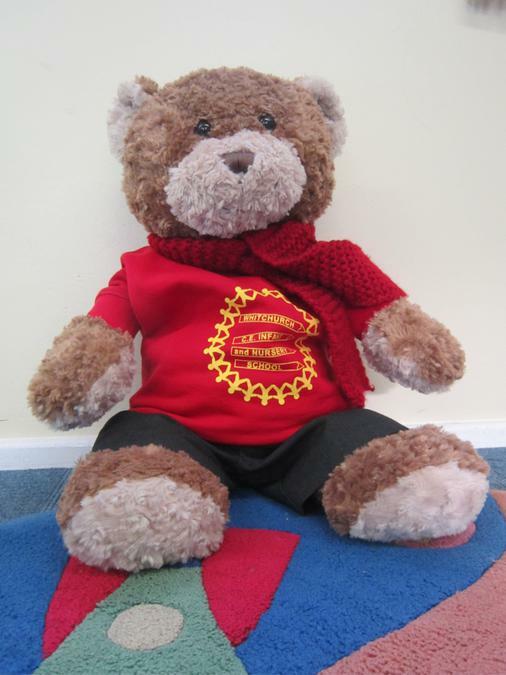 We encourage children to take responsibility for their attendance by presenting Be Here Bear to the class with the highest percentage attendance each week and publish the winners here on our website. It is our aim to work with parents and carers to ensure that each child receives the education they are entitled to.